Muslim ethnic Fulani mount attacks in Plateau state; Boko Haram strikes in Borno. WASE, Nigeria (Morning Star News) – Ethnic Fulani Muslims killed a Christian in a village near here on Tuesday (June 18), less than a week after the Islamic extremist Boko Haram sect killed a pastor in Nigeria’s northeastern state of Borno. In the latest of a series of attacks this year in the Wase area, 216 kilometers (134 miles) southeast of Jos in Plateau state, Fulani Muslims killed Toma Vongjen, 40, and left church buildings in four villages in ruins, said the Rev. Dinfa Lamda of the Church of Christ in Nations (COCIN, formerly Church of Christ in Nigeria), in Jos. “Just yesterday, these Muslim Fulani terrorists attacked some villages, including Bakin Rijiya village where Toma Vongjen was killed, and in Kumbur, Wase Tofa, Angwan Sayawa, some churches were also destroyed,” he told Morning Star News on Wednesday (June 19). In Borno state, Boko Haram Islamic extremists on June 13 killed the Rev. Jacob Kwiza in the Mandara Hills area, church leaders said. 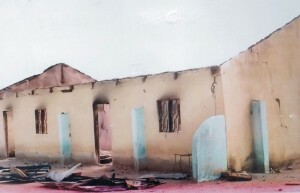 Lamda, a native of Langtang, near Wase, told Morning Star News that social and economic activities have been paralyzed in the Wase area, and “Christian fellowship activities and evangelism outreaches are no longer possible.” Most churches in Wase have closed due to the violence, and surviving pastors have been relocated, he said. Fulani Muslims have longstanding property disputes with Christians of other ethnicities, and Islamic extremist groups are suspected of inflaming the herdsmen’s anti-Christian sentiment. Lamda said Fulani Muslims have attacked Christian communities in the local government areas of Wase, Langtang and Shendam, all in Plateau state. He denied that the attacks were “reprisals” for alleged attacks by Christians on Fulanis or their cattle. 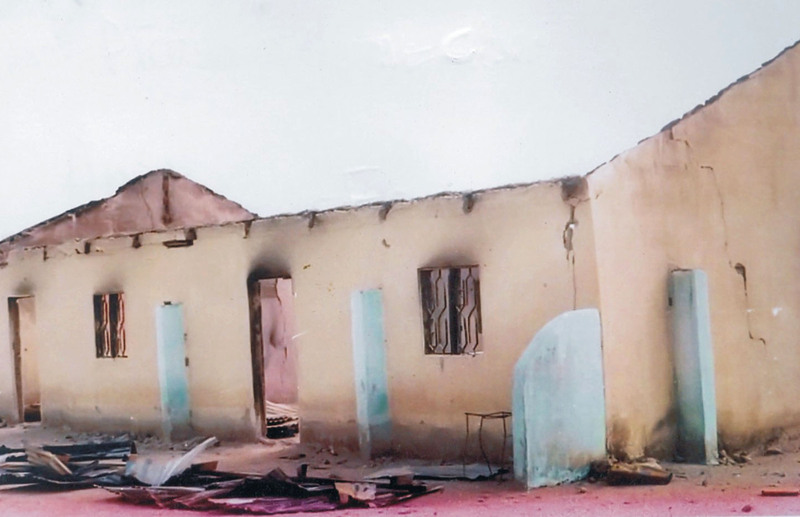 COCIN leaders told Morning Star News that in the past six months, about 60 Christian communities in the Wase Local Government Area have been attacked, resulting in the murder of 20 Christians, the destruction of at least 100 church buildings and serious injuries to about 100 Christians. The Rev. 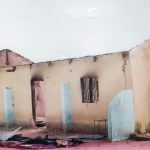 Johnson Kikem, a COCIN pastor in Langtang in southern Plateau state, told Morning Star News that the attacks have displaced many Christians from Wase. Chairman of the COCIN Regional Church Council in Langtang, Kikem identified the attackers as Muslim Fulani herdsmen. Kikem said the Fulani Muslims ramped up attacks on Christian communities in Wase early this year. Islamic extremist groups are believed to be increasingly arming Fulani Muslims and inciting them to attack Christian areas. Kikem said Christian areas that have been attacked include Zango, Angwan Fidelis, Angwan Obadiya, Angwan Mangdiem, Angwan Gidin Dutse, Angwan Anato, Pinau, Lamba, Yantanta, Kurmin Wadatan Kasuwa, Lyangjit, Shengel, Bangalala and Damshenya. He identified some of those killed this year. “Andrew Dunka was killed and his corpse burned to ashes under Wase Rock,” an 800-foot geological feature where the first area church was established, he said. Two others, Kwage Shengel and Ciroman Shengel, both from Shengel village, were also murdered, along with Philip Danjuma, Nemene Gowok, and Yakubu Sulhu, he said. He also identified some of the injured Christians. Besides hit-and-run attacks by Fulani Muslims, Christians in Nigeria have also been targeted by Boko Haram in its effort to destabilize the government and impose sharia nationwide. In Borno state, Boko Hara members on June 13 attacked five Christian communities in the Mandara Hills area, some 150 kilometers (93 miles) from the state capital of Maiduguri, killing COCIN pastor Jacob Kwiza in Hwa’a as he worked in his orchard, church leaders said. Defying the state of emergency declared by the federal government in three northeastern states, Boko Haram attacked Gjigga, Gathahure, Kunde, and Hwa’a, and Hrazah of the Gwoza Local Government Area, they said. Mandara Hills is home to several Christian communities in Borno state. Other areas in the state that Islamic extremists have attacked in the past few weeks are Gwoza, Damboa, Chibok, Mbamba, and Kurana Bassa, church leaders said. On April 24, Islamic extremists shot dead the Rev. Luka Bazigila and a member of his church, identified only by his surname of Yohanna, in Gwoza town, while a third Christian whose name was not immediately available was killed and his corpse burned by Boko Haram members. Addressing the Executive Council meeting of COCIN on Tuesday (June 18) in Jos, Bewarang also disclosed that the elder brother of Deborah Mohzo, wife of the deputy general secretary of COCIN, has been killed in the attacks. In addition, he said Islamic extremists killed three other members of the church in Gwoza. The Rev. Obed Dashan, COCIN general secretary, said the attacks in Borno state have traumatized Christians. President Goodluck Jonathan in May declared a state of emergency in Borno, Yobe and Adamawa states, saying the government had no option but to take military action following incessant attacks on civilians and security agents. COCIN pastor Lamda said the attacks constitute a jihad against Christians.